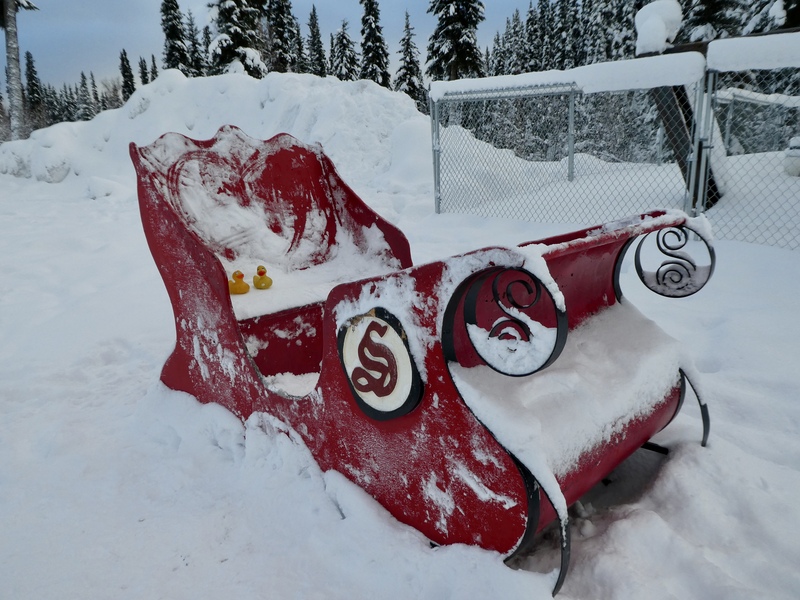 This entry was posted in Alaska, Uncategorized and tagged Alaska, Colorado Traveling Ducks, Mt. 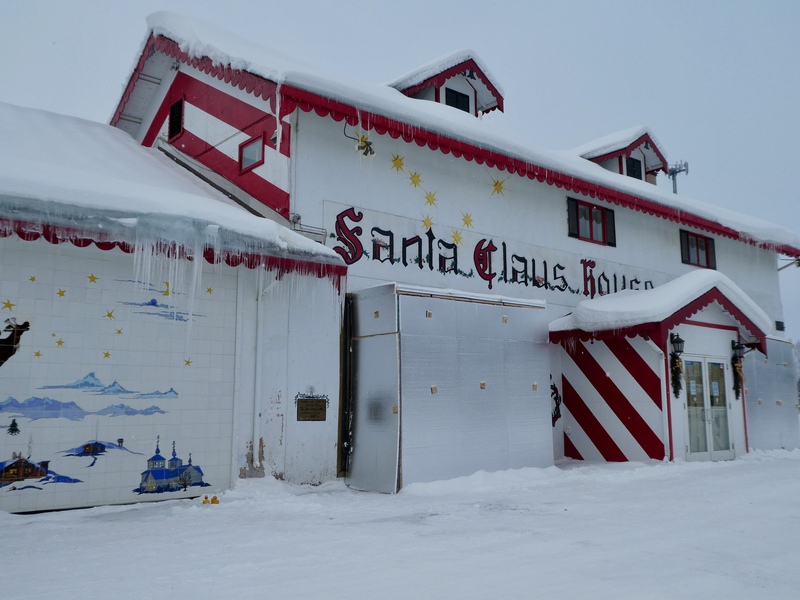 McKinley bank, North Pole Alaska, Reindeer, Santa Claus House, Santa's sleigh, Wendy's. Bookmark the permalink. 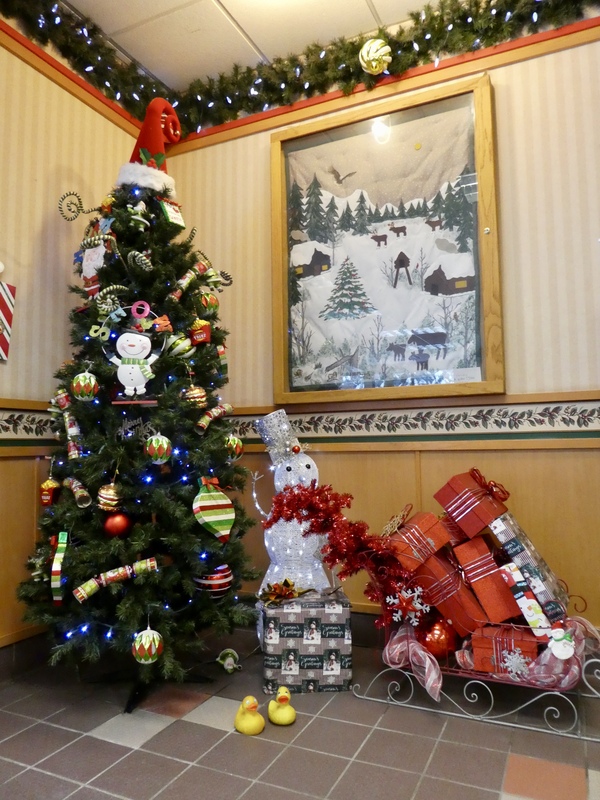 I’m glad everyone enjoyed themselves at the North Pole. My partner has climbed Mount McKinley, it’s a long way up. He’s now training hard for Mount Everest and we welcomed a very important person to Planet Dom to wish him luck on his venture – non other than Brian Blessed! I bet he could set off a few avalanches! Wow! Mountain climbing Mt. McKinley and Mt. Everest is extreme. Congratulations and best wishes for future climbs. 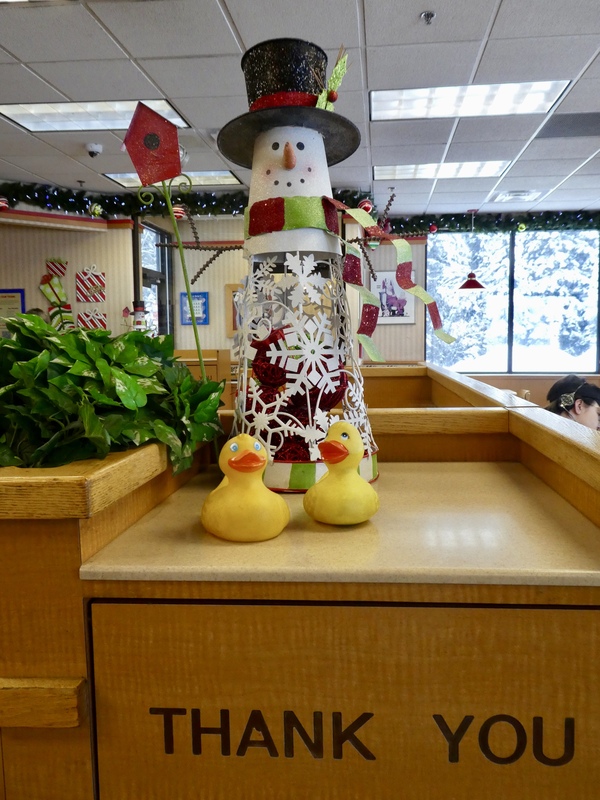 We, humans and ducks, will admire these from a warmer, more comfortable location. Thanks for reading and commenting. They say the Christmas decorations stay year round. 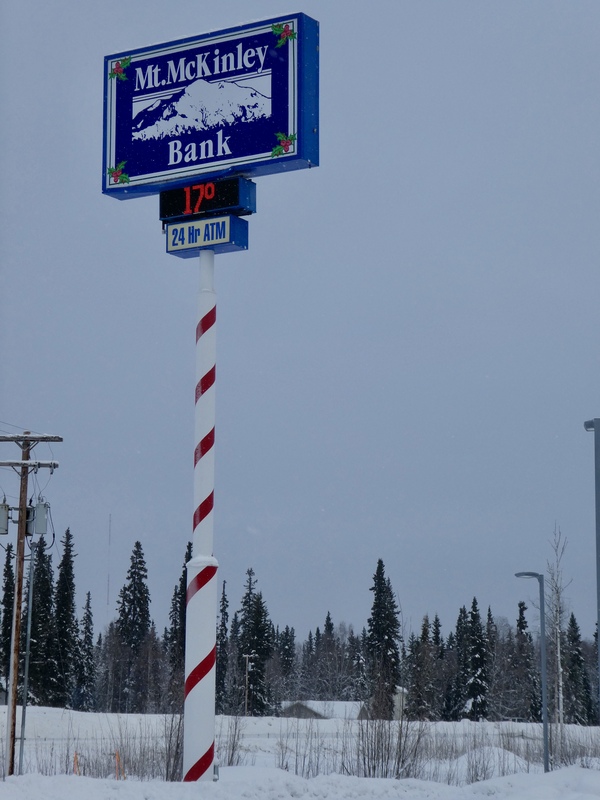 We loved the candy cane sign posts all over town. Thanks for reading and commenting. Looks awesome! That’s the hometown of one of my best friends in Colorado and one of these days I’m going to go with her. Love your photos! 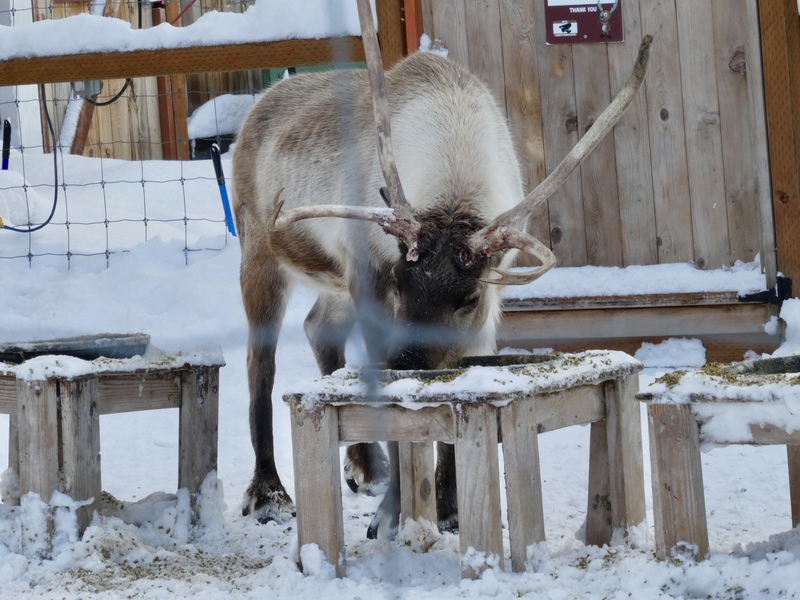 We love visiting North Pole. I’m sure you will love your visit, but we still love our bright blue Colorado Sky. Thanks for reading and commenting. What a treat to have Christmas all year round. 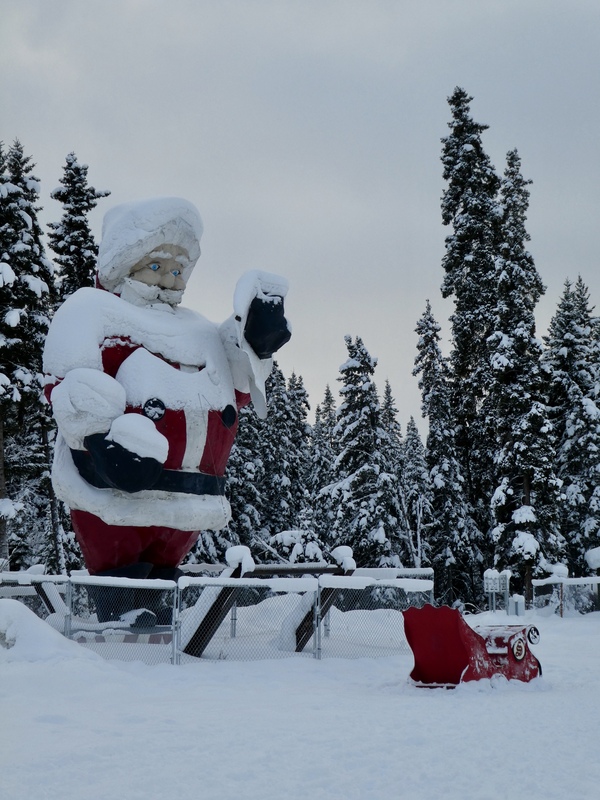 The Christmas theme certainly makes North Pole a fun place to visit. We love the decorations! Thanks for reading and commenting.